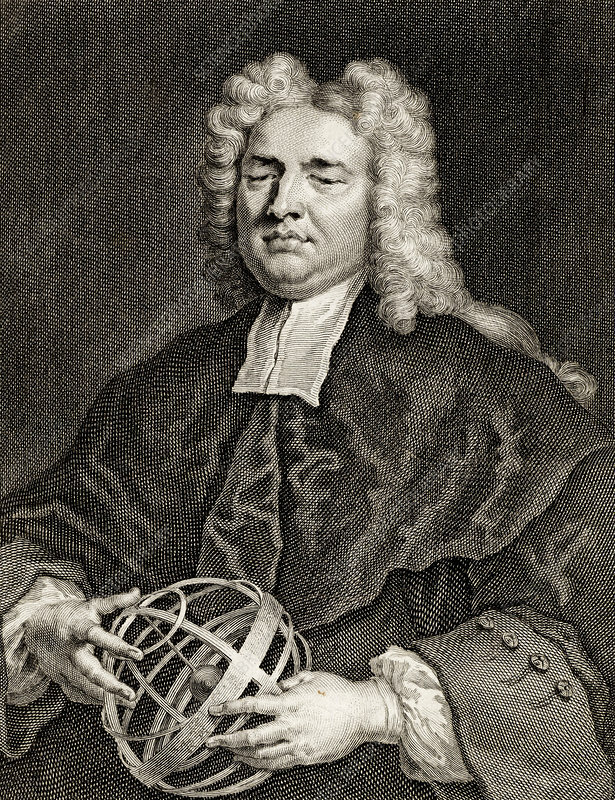 Nicholas Saunderson (1682-1739), English mathematician. Saunderson lost his sight to Smallpox when he was an infant. He became Lucasian professor of mathematics at Cambridge. He is holding an armillary sphere. Engraving by Gerard van der Gucht (c1696-1776) after the portrait painted by Vanderbank in 1718.